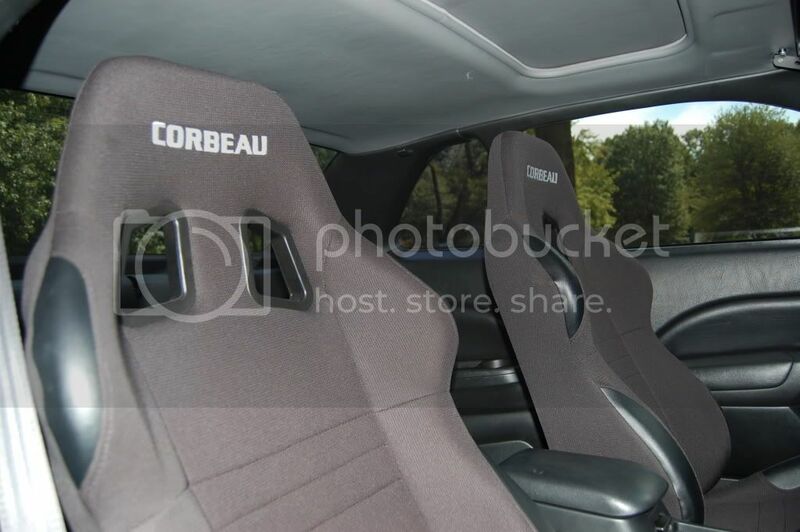 For anyone considering purchase of Corbeau A4 seats- this is for you. I'll have to snap some more photos, but to get the ball rolling here are a few. I do NOT have the wide variation of these seats. These are the standard size. You will notice that the female end of the seatbelts sits rather far down at an awkward angle - to fix this you have (2) options. Either bend the angled portion of the mounting bracket on the female end of the belt so it is flat, or file down the hole in the Corbeau bracket so it allows the female end to move forward and backward just as you can in stock seats. I can honestly say these are quite comfortable to drive in. And being 6'4", they aren't too bad for tall people.